During the last quarter of the nineteenth century, many Danish and Norwegian Christians immigrated to cities in the United States, including New Haven, CT. Many of these believers had been part of the lay revival movements in their homelands. 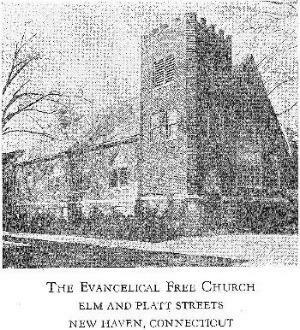 In 1882 Lars Haubro started preaching in a beepmusic.org rented hall at 201 Orange Street in New Haven. Soon after, in 1897, the "Danish Evangelical Free Church" was formed with thirty-two charter members. In 1900 the name was changed to "The Danish-Norwegian Evangelical Free Church."